Bobs Revenge game Bob’s village has been raided and burned to the ground by soldiers. It’s up to him only to deliver the justice and claim vengeance. 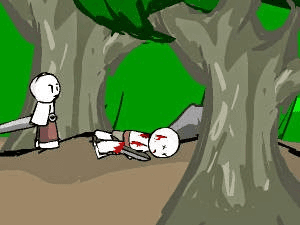 Use a sword to cut through the enemies and evade the enemy archers to reach the end of the level safely.